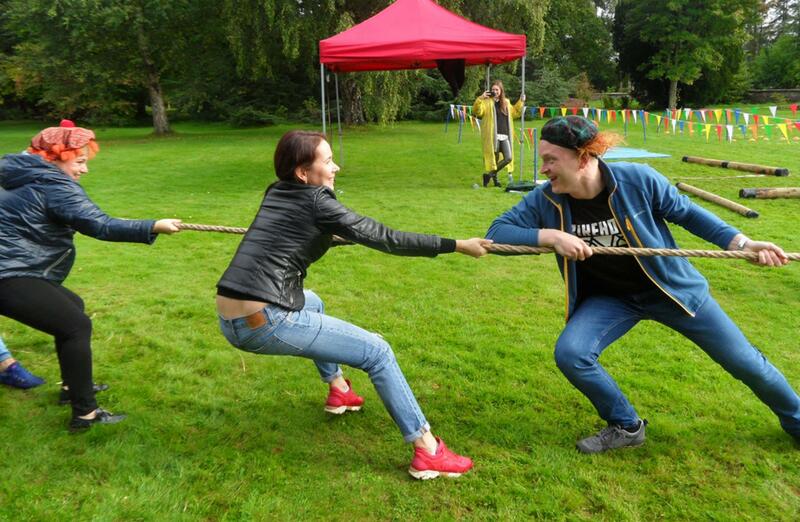 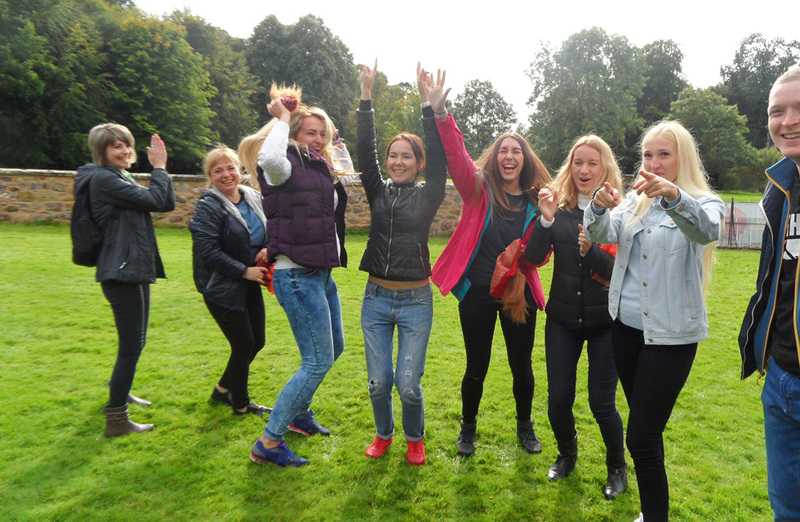 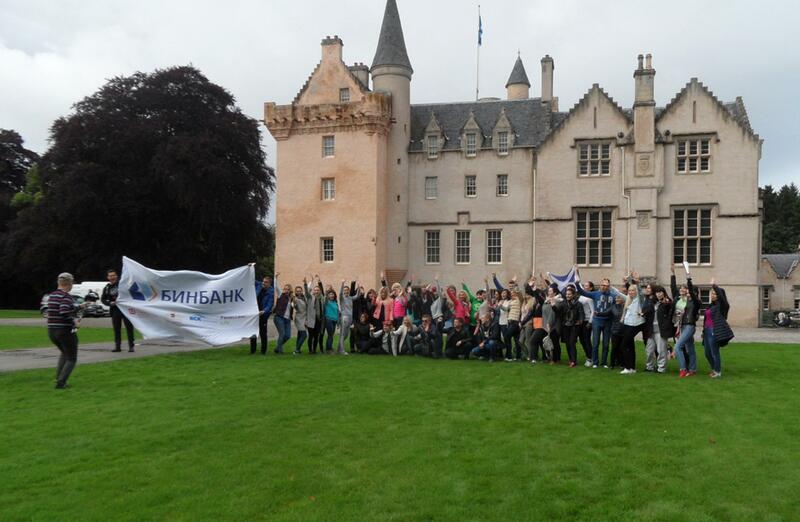 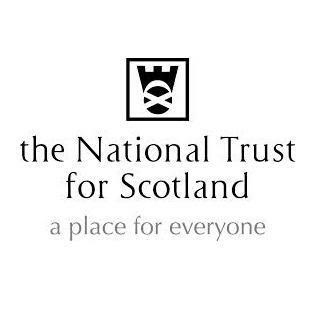 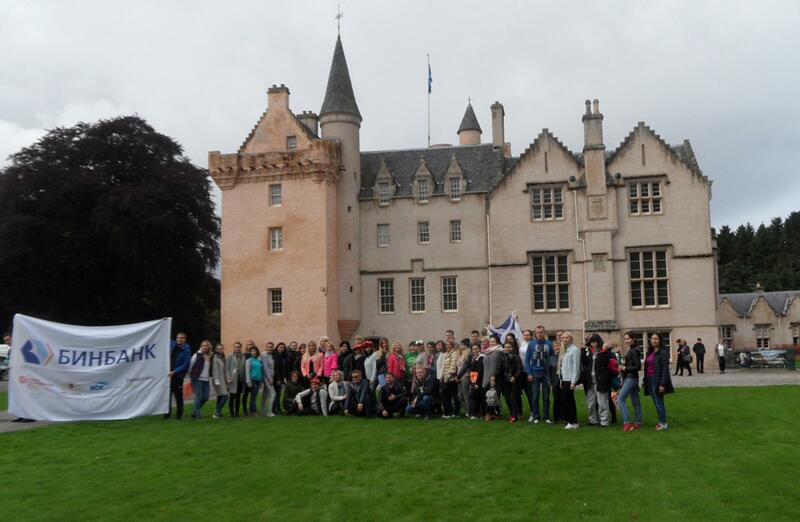 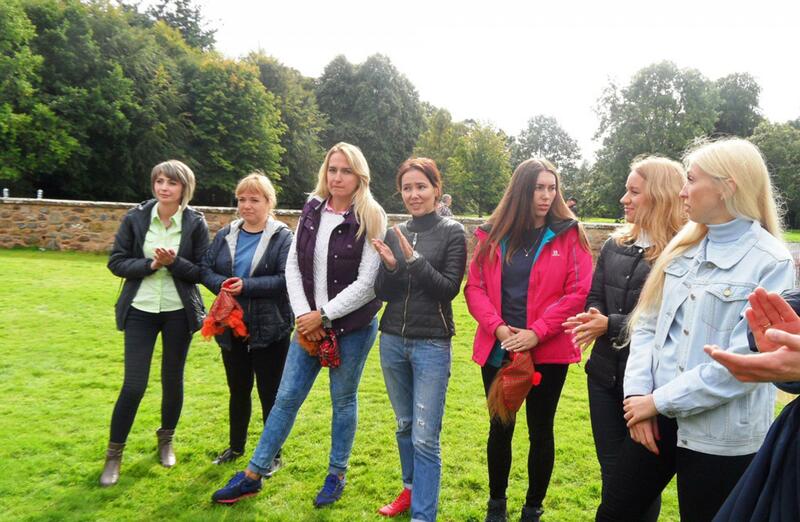 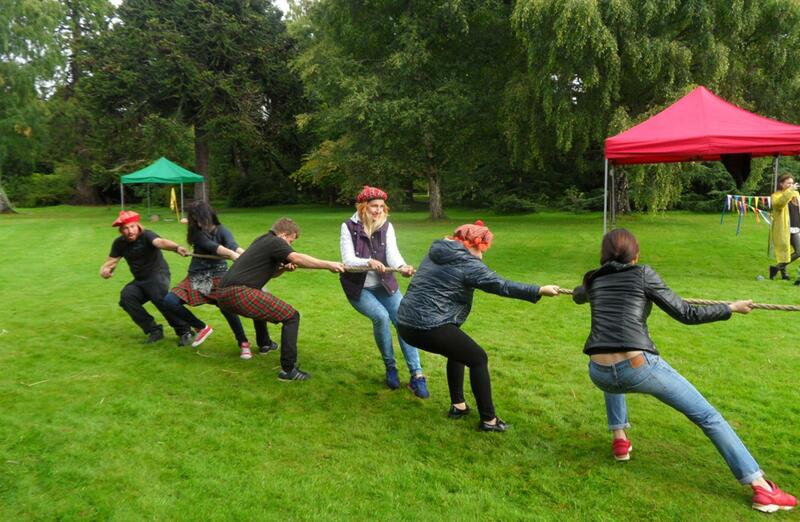 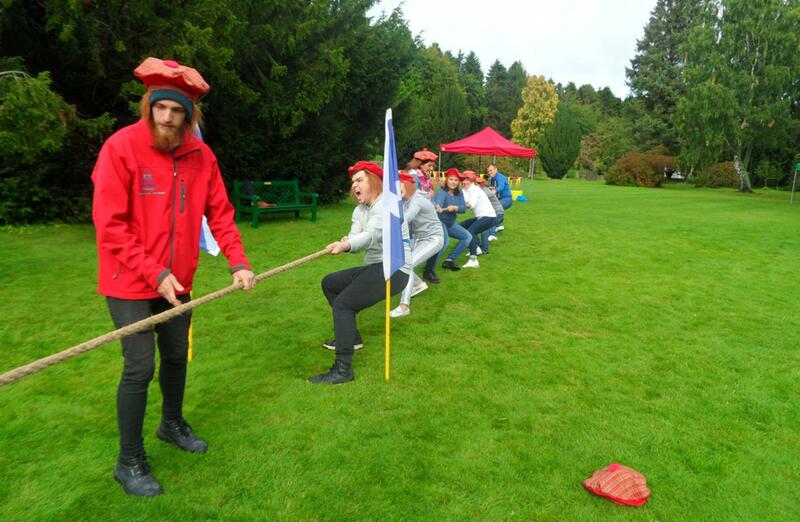 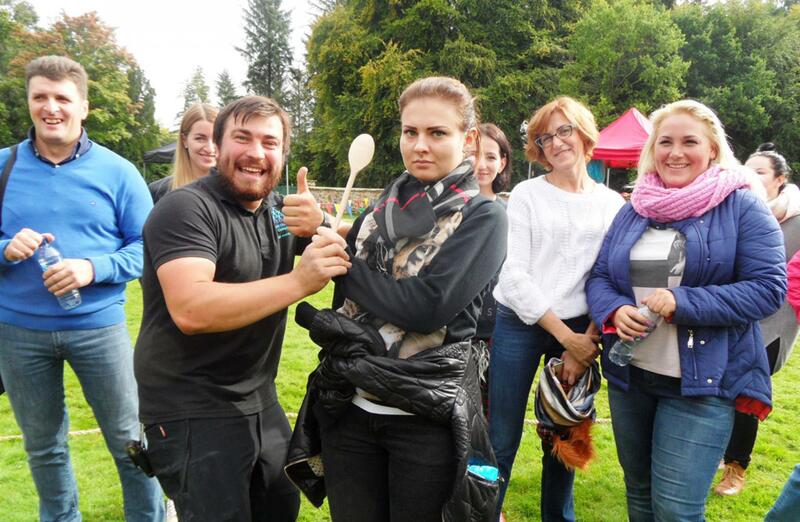 On Wednesday 13th September, Team Challenge Company arrived at National Trust for Scotland Brodie Castle near Forres for an afternoon of traditional Highland Games with Wedgewood Britain. 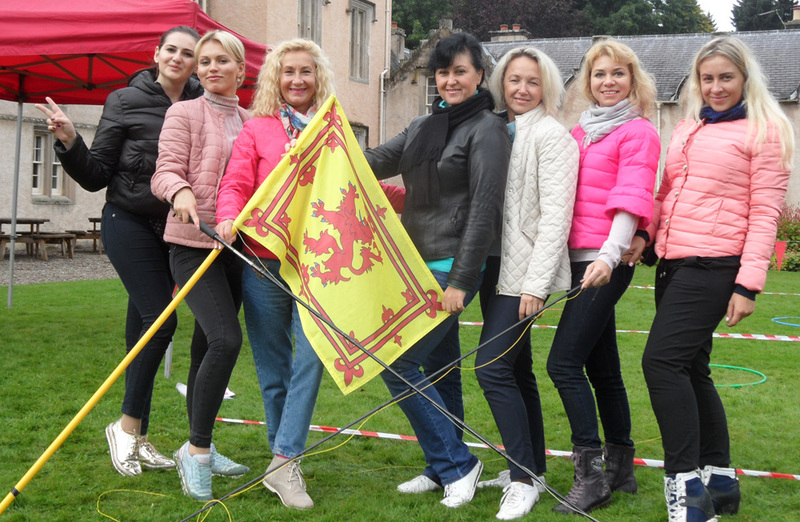 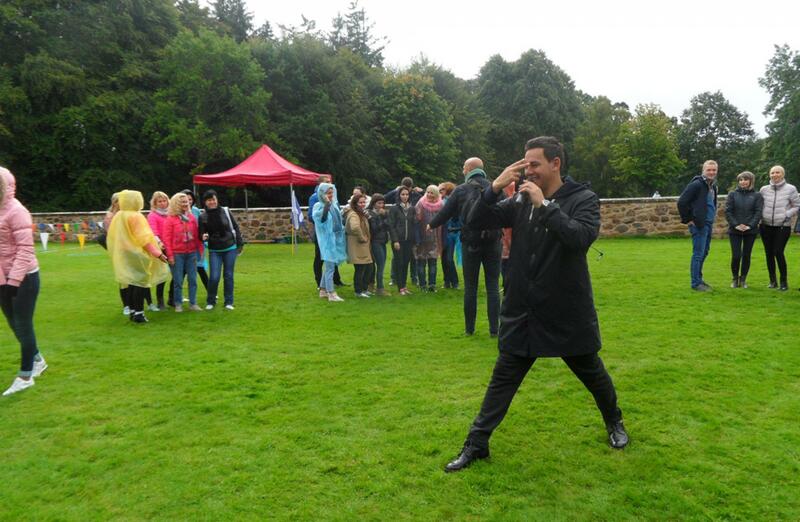 The rain was beginning to clear as our 50 plus guests from Russia were welcomed to our activities in true Scottish style by our celebrity Russian Mr Motivator himself. 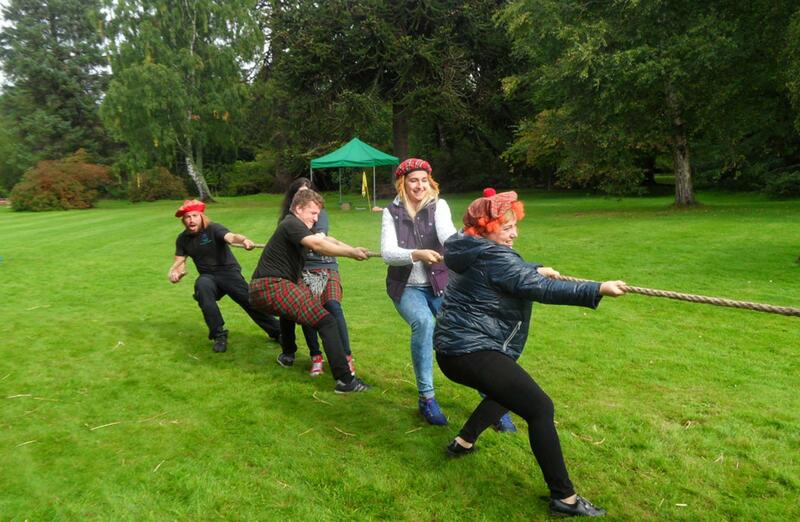 Each of the guests were given a Jimmy Wig in preparation for battling it out on the various Scottish Themed activities, these ranged from Haggis Hurling to Tug O War and our ever popular Highland assault course - Hey You Jimmy. Our very own Russian Mr Motivator got everyone warmed up and ready to compete for the infamous Team Challenge Company Winners' Trophy. 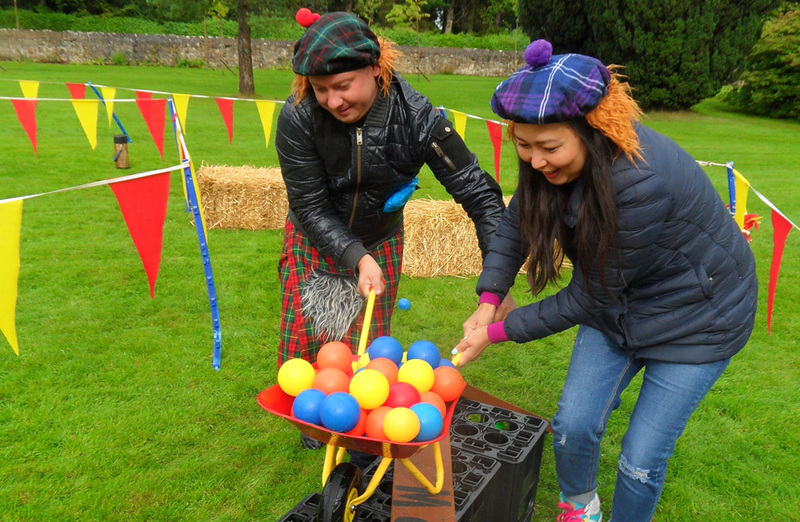 The 5 teams had to don their Jimmy Wigs and compete head to head in a series of highly competitive challenges, and suddenly right on cue the heavens opened the clouds parted and the shone for the rest of the day – like it always does in Scotland! 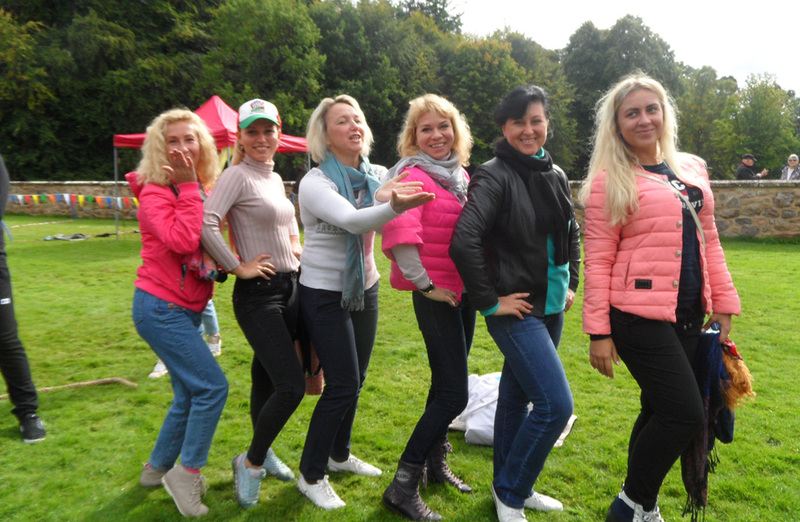 Luckily team Lady Mackenzie were up for throwing some gorgeous shapes and might well have earned themselves a bonus point or seven with our warm up. 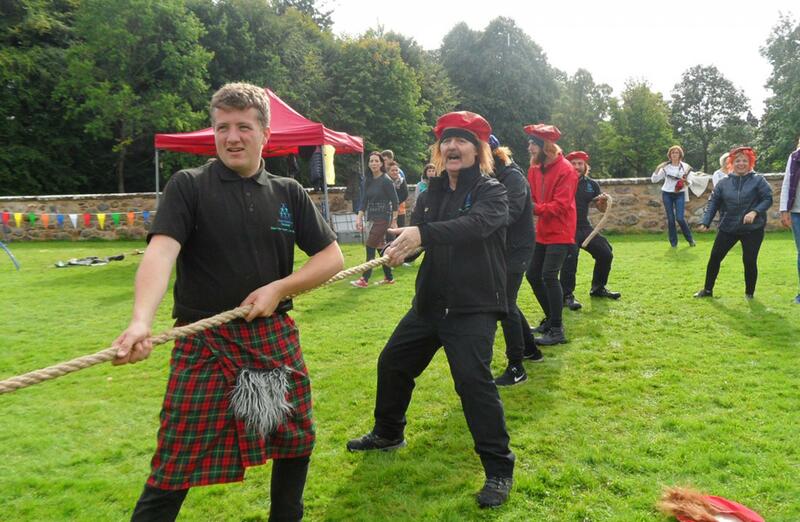 On Welly Fling there were lots of highlights - in particular there were a few heavy handed delegates stepping up to the launch line including Highlanders and Blue Glasgow, both teams sending their wellies all the way to Forres town centre with their enthusiasm! Team Mc Green on the other hand was so cautious on her first throw that the welly didn't even make it onto the course! 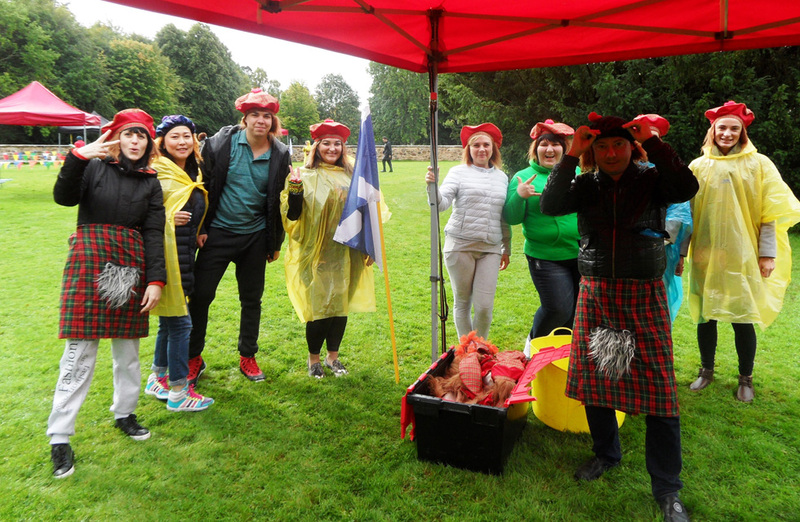 Luckily we had a very special little red welly for some – please have porridge next time for breakfast! 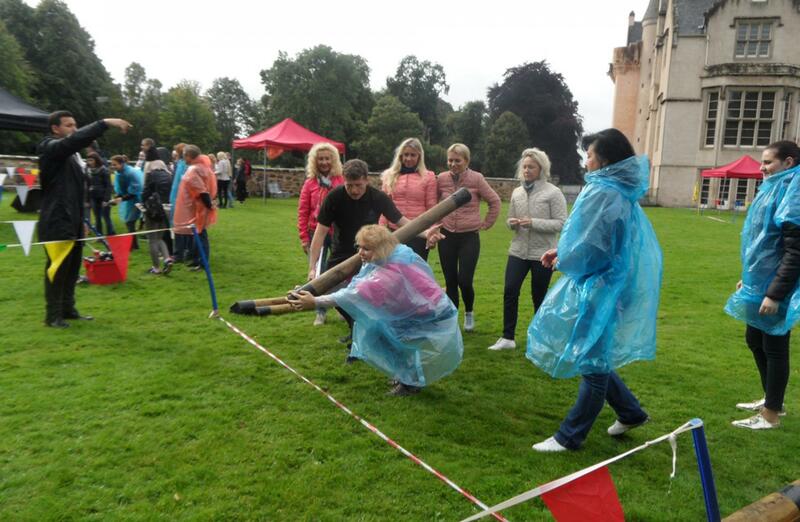 On the Caber Tossing challenge there were several in Team Blue Glasgow who fancied themselves to be true Highlanders, however in the end it was team Bagpipers who really stepped up and showed us what skills they had here accumulating some much needed points on the board. 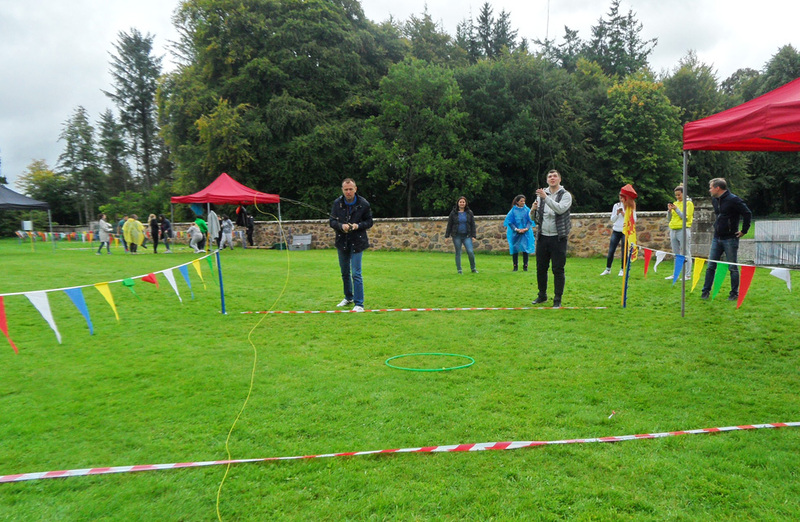 The Fly Casting was more of a free for all than a competition to hook lunch when some teams got going and we had to keep all spectators out of the way as some took up the challenge and missed each and every hoop - how is that even possible! 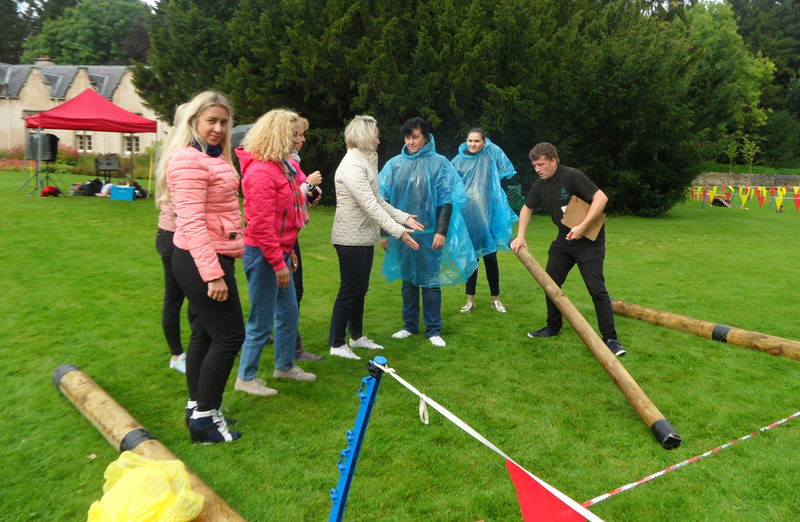 With a massive variety of activities on offer for the afternoon, teams were playing eagerly for big points and competitively headed off to participate and show us their skills in every challenge of the day. 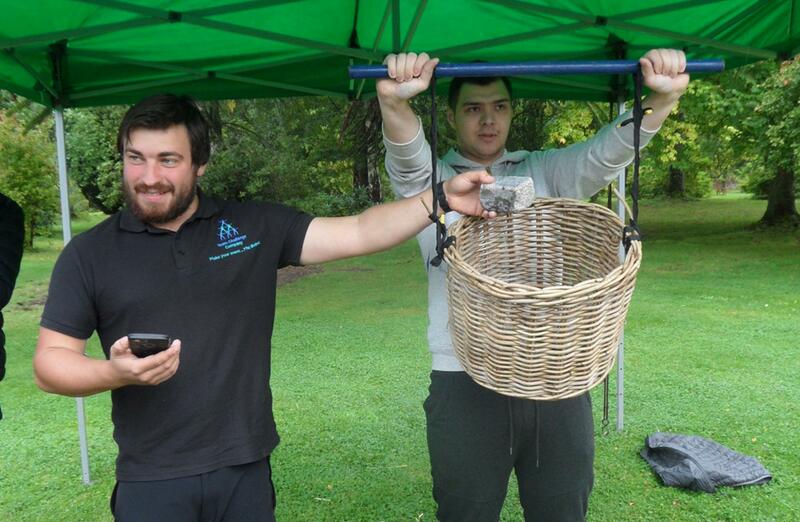 Our score keeper couldn't believe the results that were coming in from Team Bagpipers at the Fly Casting, they were off to a great start, but could they keep it up for the duration of the afternoon? 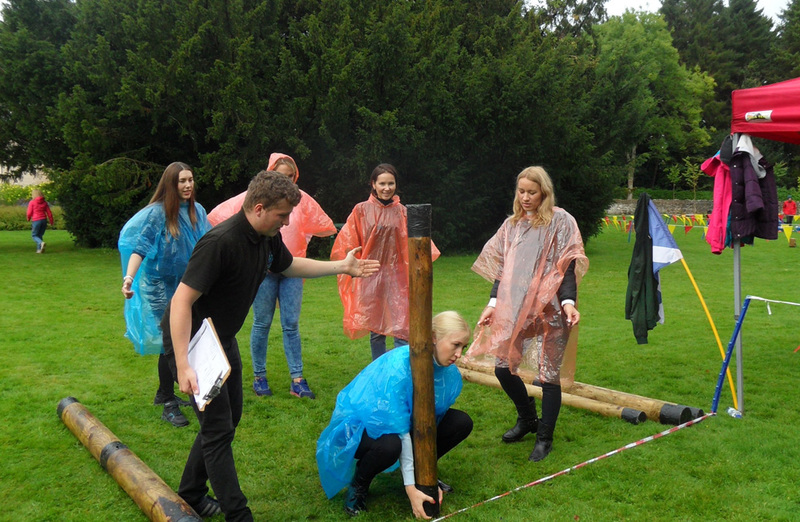 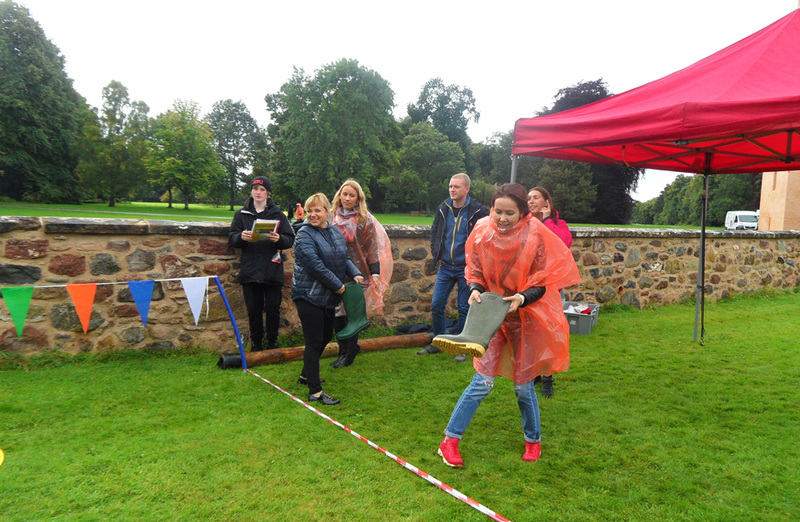 The team on Welly Throw obviously thought they were doing the shot putt as there were wellies flying all over the scoring field, although were they hitting their targets? 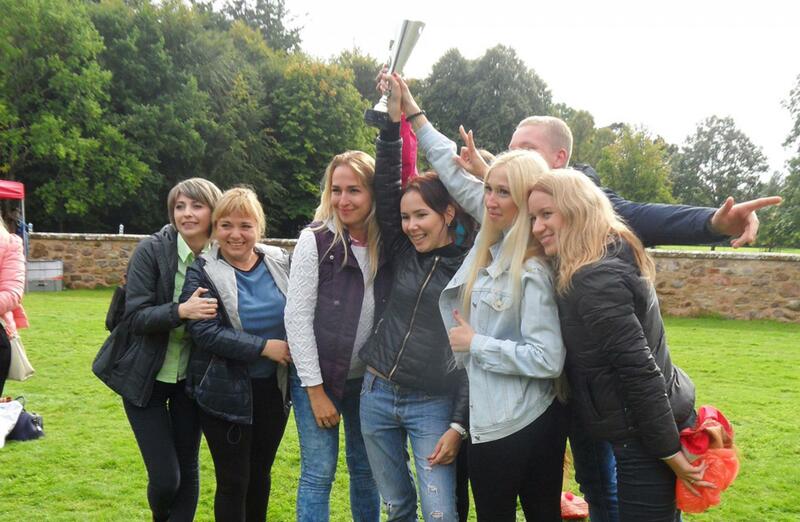 - only the scorekeepers knew ! 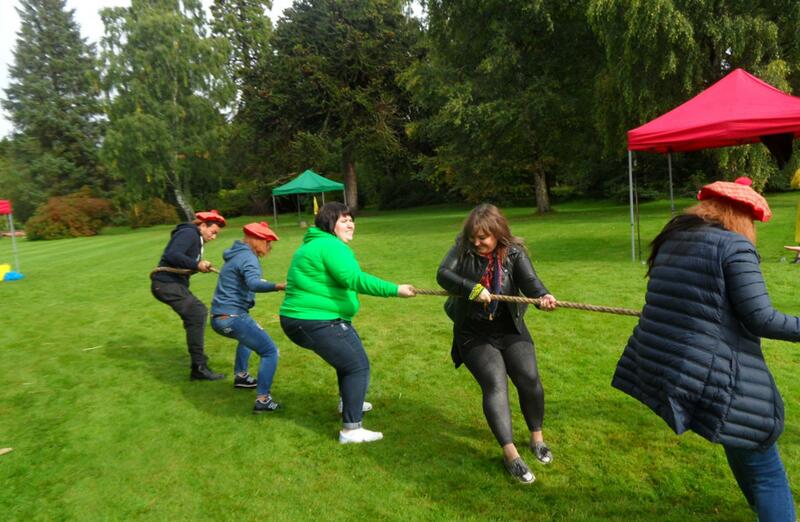 Down at the Stone Lifting station there were some wannabe Russian Hercules, but unfortunately, their determination wasn't enough to get them close to the winner’s podium on this trial by strength! 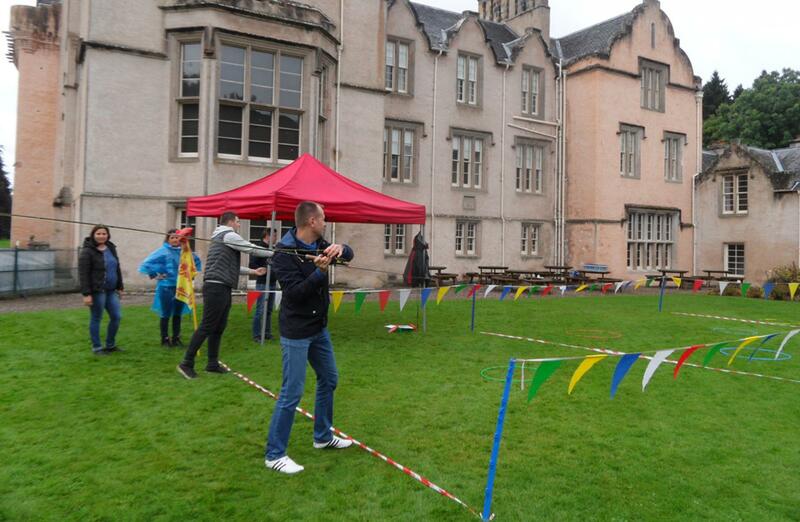 There was lots of cheating at Hey You Jimmy with teams throwing balls at their opposing teams! 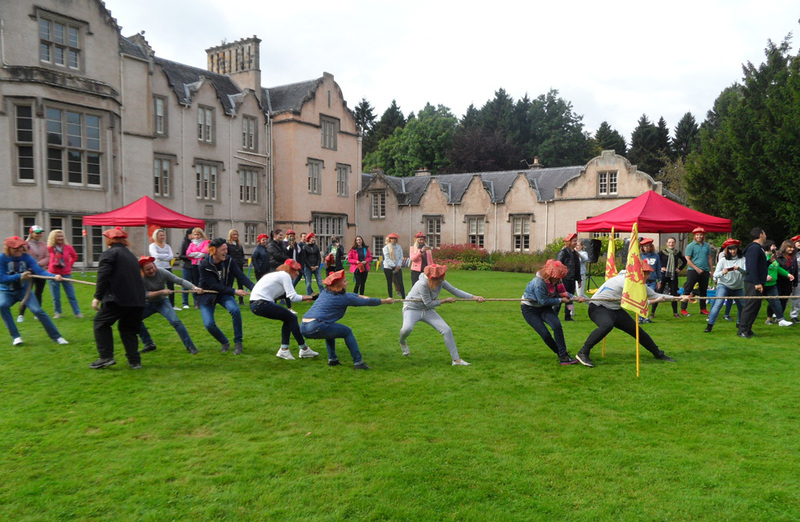 As the afternoon drew to a close, it was time once again for the Tug O’ War finale –and what a great competition – just look at those photos of the serious athletes- oh and yes Team Challenge Company crew stepped up once again with 7 versus 47 and lost...again - but we went down fighting bravely! 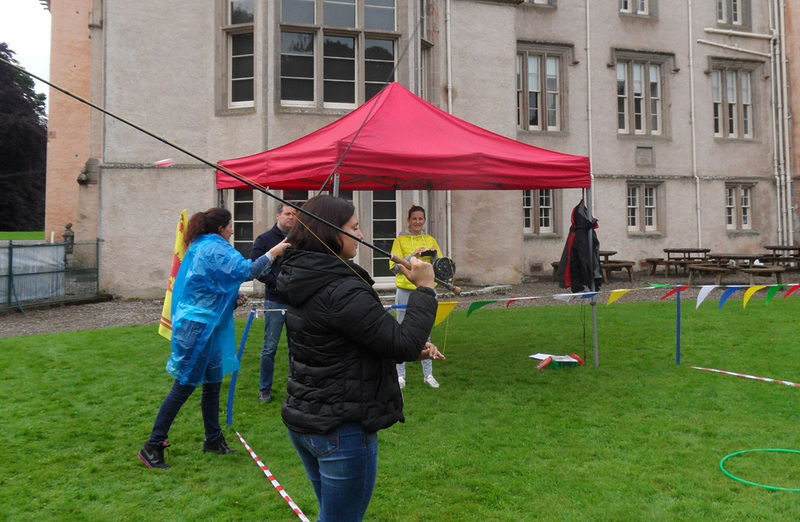 Another incredible day of wonderfully competitive Highland Games action with Wedgewood Britain at the beautiful Brodie Castle – we shall return!